A wonderful and romantic image! The sunset has such beautiful colors! 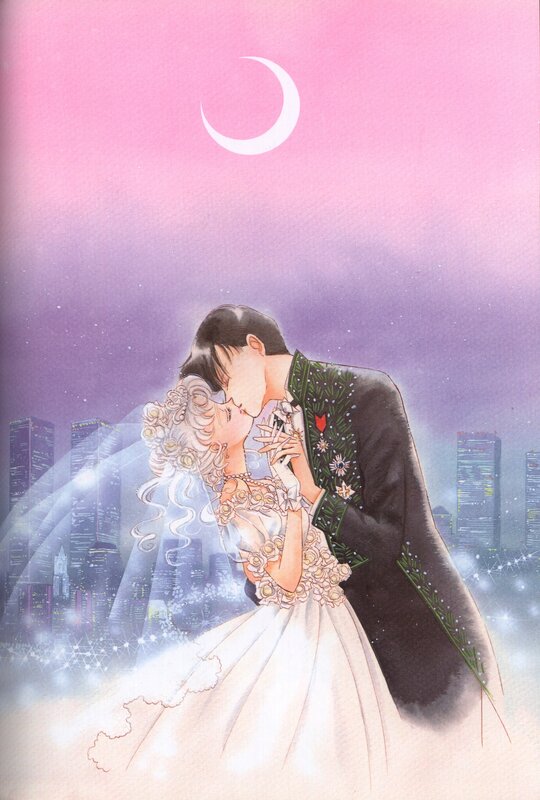 Usagi's dress is one of the most beautiful of mangas wedding dresses in my opinion. I really liked the image Takeuchi-sensei created here. Not my scan. The source is a gallery that's no longer online. what a happy ending for them! Wow, mit dem Mond sieht das so romantisch. Ohhhh! is rally lovely this image! I love Darien! Mamoru is wearing one hell of a flashy jacket.